LED Screens allow you to get you message across with impact. Whether it’s a hire for an outdoor screen for a festival, or indoor screen for an exhibition or live event, Production AV have the experience and equipment to deliver what you require. 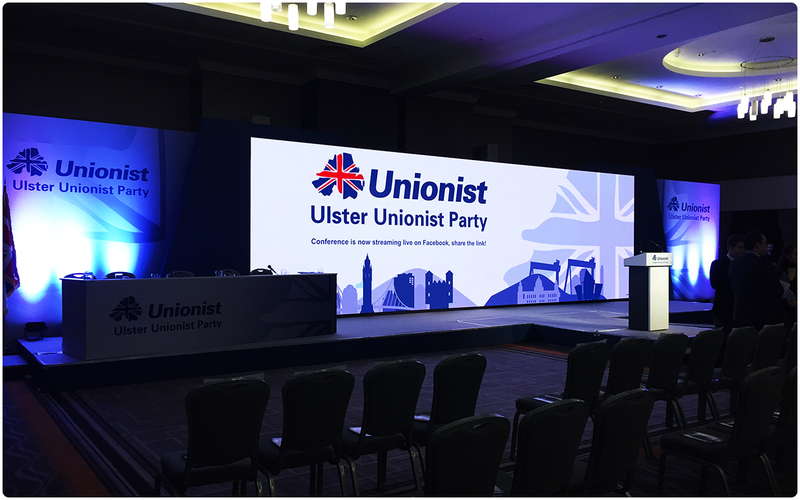 Designed with the cutting edge of events in mind, the Desay X2i 2.6mm Indoor LED Screen is a fantastic product for use in high-profile, intimate events to deliver your message in a stylish and striking manner. Having already invested in Desay LED screen, we knew that the Desay X2.6i would have outstanding build quality that had been engineered to operate impeccably within event scenarios. 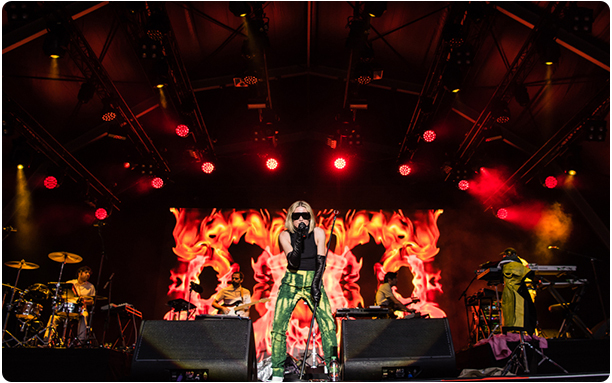 Production AV has also invested in a wide range of rigging hardware that enables screens to be either flown or ground supported depending on the specific requirements of your event. 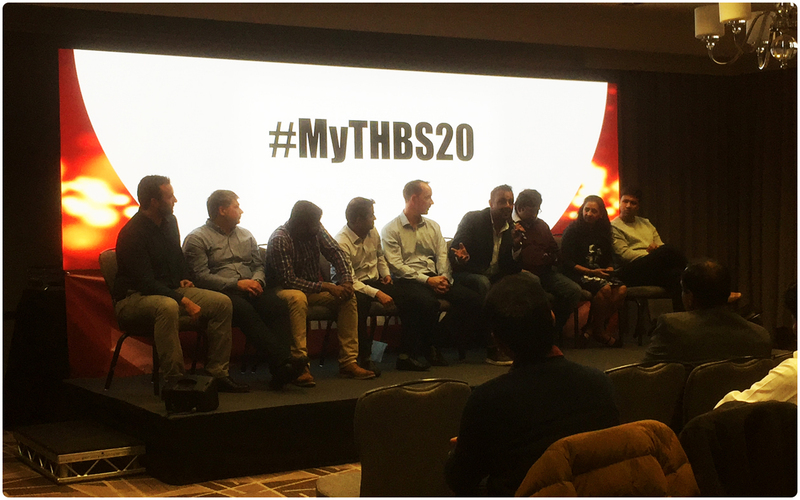 For indoor events, TV studio use, conferences and exhibitions where the best is required, Production AV stock digiLED HRi3900 3.9mm pitch LED screen in our rental inventory. This screen gives great high resolution images over large areas, with great colour reproduction and brightness. We have chosen the digiLED 3.9mm LED Screen product for the superior engineering and processing that results in fantastic colour reproduction and low light level performance. Combined with the rapid rigging hardware, all of which is CE certified, means that we can rapidly and safely cover large areas of screen in either a flown or ground supported configuration. With a module size of 50cm x 50cm x 9.6cm (W x H x D) and weight of 10kg, digiLED HRi3900 is flexible for both scenic uses as banners or columns, or also for large video screens. Power consumption is low, at only 240 watt per square metre. Contact us if you would like a demo to see the HRi3900 in action, or if you would like a hire quotation tailored to your specific project or event requirements. Where the viewing distances are larger, then lower resolution screens can be used. 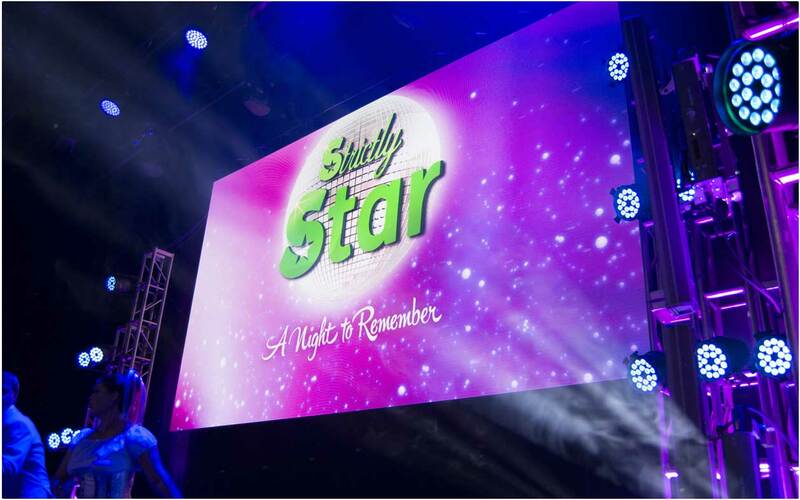 Production AV stock Desay M6 6.25mm Indoor/Outdoor LED Panel and have successfully deployed various resolution screens for clients, from Sky to Jamie Oliver’s Big Feastival and Military celebrations, across the UK and Europe to suit the project type. We can match your requirements for the LED screen location and viewing distances to the best product to ensure that the image quality is fantastic. For festivals we can also add a complete camera solution to capture and feed images to the screens. Contact us if you would like a demo to see the Desay M6 in action, or if you would like a hire quotation tailored to your specific project or event requirements.